If you’re experiencing a stabbing pain in your heel, it’s very likely you may have plantar fasciitis, which is the most common cause of heel pain. Jay Bhuta, DPM, at Ankle & Foot Doctors of New Jersey in Millburn, New Jersey, is a podiatric expert who can treat your plantar fasciitis and relieve your pain. Call the office or schedule an appointment using the online booking button. Plantar fasciitis occurs when the band of tissue that connects your heel and toes, referred to as the plantar fascia, is inflamed. 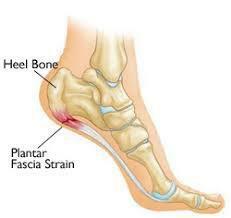 Your plantar fascia absorbs much of the stress and pressure your foot endures during your daily activities. If the stress and pressure are too great, tiny tears in the tissue may occur, leading first to irritation and then to inflammation and pain. Anyone can develop plantar fasciitis, but it most commonly occurs in runners, people who wear shoes without proper support, and people who are overweight. If you’re experiencing these symptoms, Dr. Bhuta can evaluate your foot to determine the cause. In order to formulate a diagnosis, and rule out other causes, you may need diagnostic testing such as an X-ray. Dr. Bhuta is a surgical expert, but he may recommend conservative treatment to heal your plantar fascia inflammation and reduce your pain. He develops a personalized plan based on your symptoms and lifestyle. Dr. Bhuta may also suggest orthotics, which he customizes to fit your feet and help you get the most relief. Will I need a procedure for plantar fasciitis? The Tenex Health TX is a minimally invasive procedure that removes the scar tissue from your plantar fascia. If your pain is severe and you can’t find relief from other treatments, Dr. Bhuta may conduct surgery to detach your plantar fascia from your heel. However, this surgery is very rarely necessary. For expert care of your plantar fasciitis, call Ankle & Foot Doctors of New Jersey, or book an appointment using the online tool.